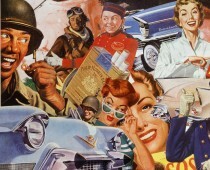 Drinking Coke was synonymous with fighting the enemies of freedom and democracy. The heartbreaking tragedy on the Leyte Island of the Philippines which bore the brunt of the devastation of Typhoon Haiyan has a special relevance today when we honor our veterans. Thoughts go back to another fall day, October 1944 when General Douglas McArthur landed on that very same island keeping his promise “to return” and liberate the Philippines. Coke went to remarkable lengths to make sure their soft drink was never far from the front lines. wasting no time in running an ad celebrating our shared victory in the Philippines. 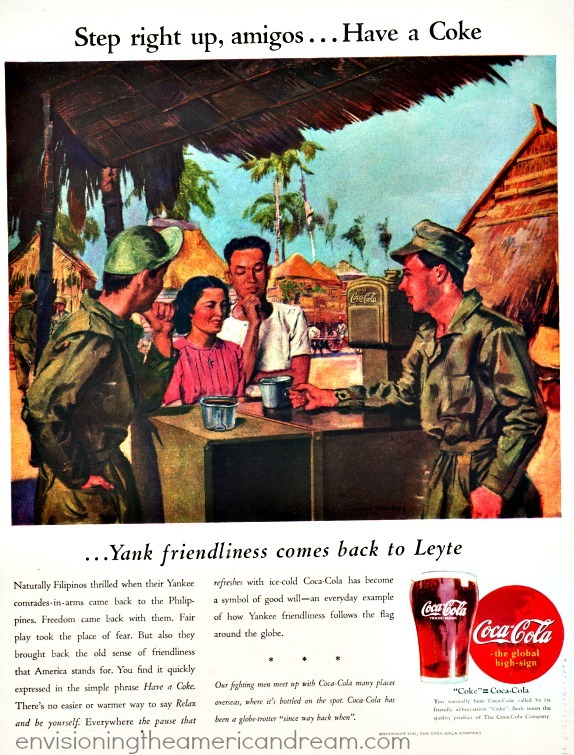 “Naturally Filipinos thrilled when their Yankee comrade-in-arms came back to the Philippines.” the copy for this 1945 Coke ad declares.